The 2010 summer issue of The Canadian Quilter, published by the Canadian Quilter's Association, contains an article entitled "Memories of Margaret Rhodes". We have a copy here for you to read, with permission. The wonderful picture of Margaret was taken by Bernard Clark, also shown with permission. If you make a quilt from Margaret's favourite pattern, included with the article, be sure to send us a picture. 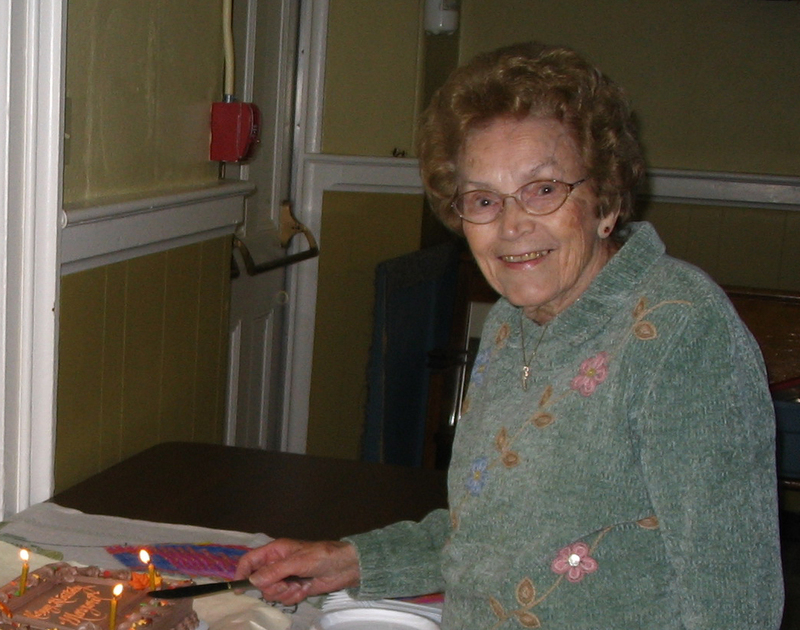 Margaret Rhodes, co-founder of the Kingston Heirloom Quilters, passed away peacefully at St. Mary's of the Lake Hospital on Thursday, January 14, 2010 in her 95th year. She will be dearly missed. 2010 April: Kingston Area Quilters Exhibiting Work in International Quilting Competition - read all about it. We're pleased to announce that Autumn Splendour has been juried into the American Quilter's Society Quilt Show & Contest in Paducah!